Brandon is an energetic FileMaker developer with a natural ability to connect with people. He is motivated by the opportunity to create efficiencies that will make the daily lives of his clients easier and is adept at utilizing innovative ideas to transform client needs into deliverables they can use to improve their business. 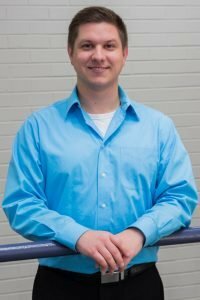 An individual with a diverse skill set, Brandon studied advanced mathematics and science at Northern Arizona University, pursued his interest in gemological sciences graduating from the Texas Institute of Jewelry Technology, and continued to tap into his passion for technology gaining experience in multiple programming languages. In addition to his FileMaker background, Brandon has experience as a Sr. Support Technician working with relational databases, queries, and integration scripts as well as with clients in a support and service capacity. When not in the office, Brandon enjoys a variety of different activities including cooking, reading, and simply being outdoors. He also continues to explore his interest in the sciences, particularly gemology and astrophysics.